The last couple of years there has been a true soul revival going on. Artists like Joss Stone, John Legend and Amy Winehouse became famous with it. But where they are bringing a kind of new soul mixed with R&B and hip-hop, there are now also artists that go all the way back to the old sound that we know so well from Motown. A good example is Raphael Saadiq who has been quite successful with it. 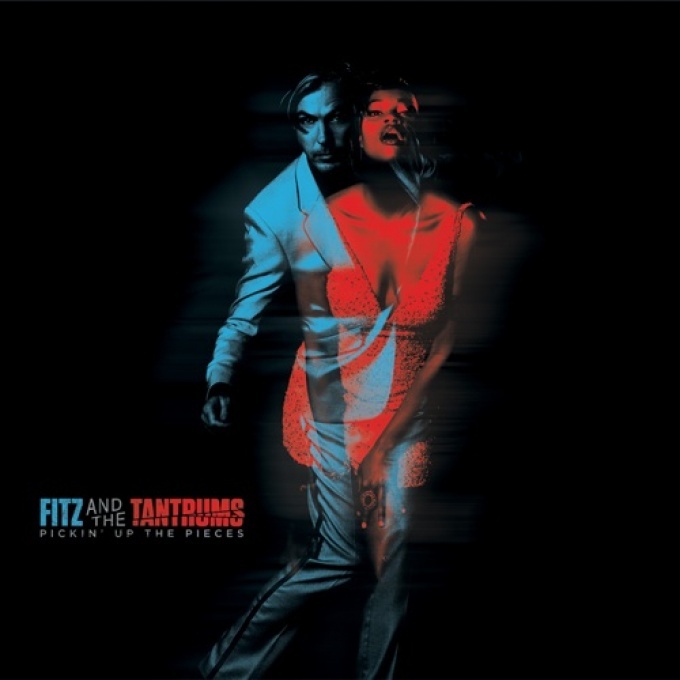 Fitz and the Tantrums also go back to that time and try to approach that old soul sound as close as possible on their album Pickin' Up The Pieces. In their case this means a plopping bass drum, jingling pianos, a bubbling bass guitar, a swinging organ, exuberant horns and nice harmonies. Front man Michael Fitzpatrick has a bit of a thin voice mostly, but now and then he comes really close to Marvin Gaye including the "oohs" and "whoos". And so you can hear echoes from the past, bits of 'I Heard It Through The Grapevine' like in title track 'Pickin' Up The Pieces'. Singer Noelle Scaggs on the other hand has a big fat soul voice with powerful cries and together they sound great. They succeeded very well in reviving that old sound. Notable is the lack of electric guitar, but there are plenty of other instruments to compensate. Deliciously swinging songs pass by like the outstanding 'Moneygrabber'. You're thrown back and forth between the Four Tops and The Temptations. The lyrics are in the same old soul style: light and narrative about love although sometimes they go a bit deeper like in 'Dear Mr. President'. But mostly it's just a matter of carelessly enjoying catchy songs like 'L.O.V.'. Only the closing act of the album, last track 'Tighter', is a miss. The ballad is an anti-climax and doesn't get going. Therefore it stands in poor contrast to the other nine fine songs. Fitz and the Tantrums should be a guaranteed hit this festival season, since it's hard to stand still with these happy and catchy tunes. They already proved that recently in their club show performances where they had lots of people dancing. So just put on this record on sultry summer nights and rock those hips.